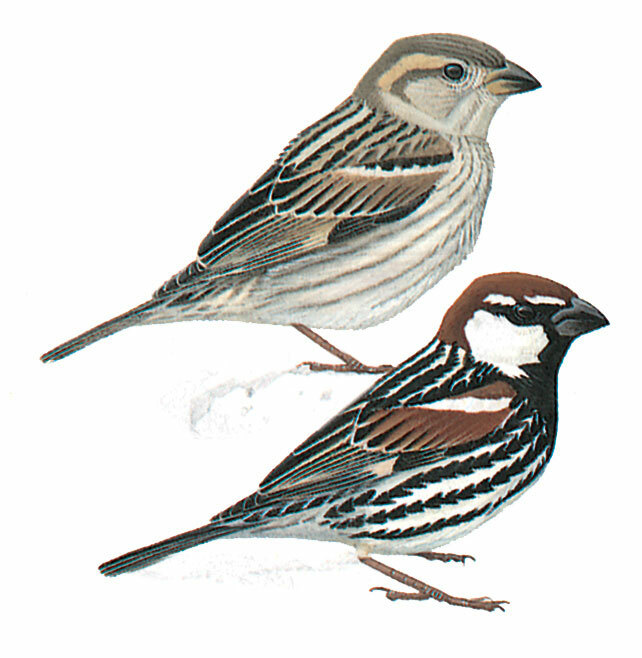 Resembles House Sparrow, but male has typically rufous brown crown and larger bib, extending to bold black streaks on breast and flanks. Back is boldly streaked black, marging at sides with black of breast. Cheeks are whitish, and the belly is white. It is not easy to distinguish female and juvenile from House Sparrow counterparts. Undewrparts are whiter, with more grey-streaked breast and flanks. Behaviour similar to House Sparrow.